SOLD, but shown as an example for orders. 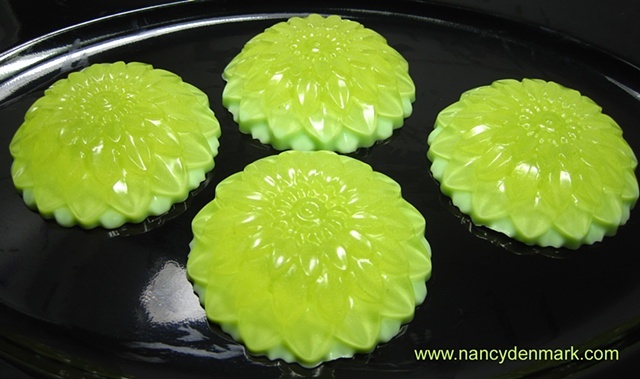 transparent soap layered with Goats Milk soap with an intoxicating margarita scent & lime essential oil, sparkling with a mica shimmer. These large flowers average $4 each and make a substantial size bar.